They’ve come from every corner of the world to join the OC family. The animals who live on the first floor of Mott aren’t just ordinary animals. 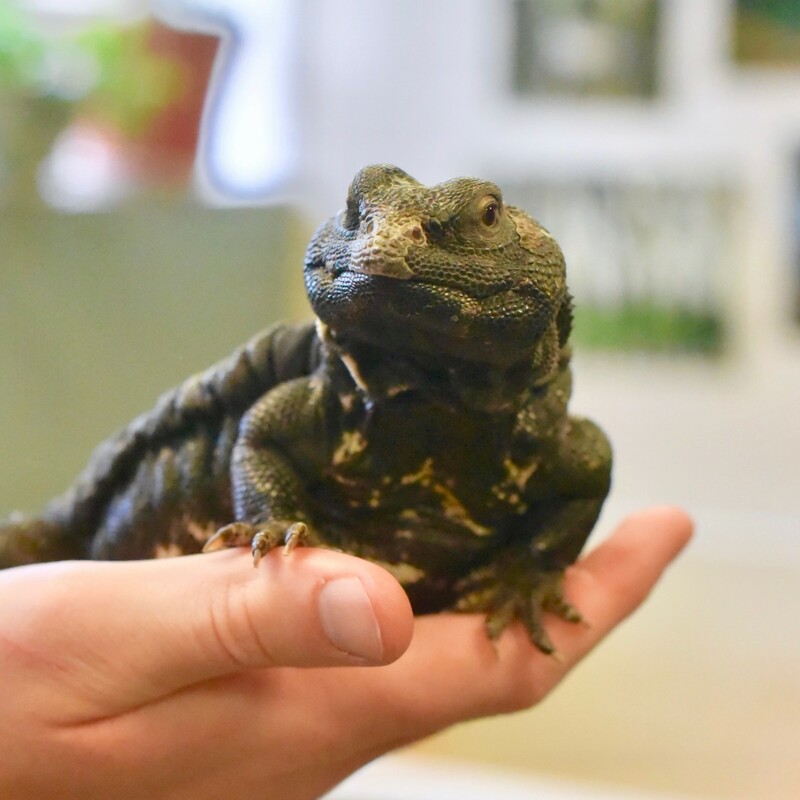 They’re teaching animals, on a mission to give a hands-on education to OC students and the Olivet community as a whole. But they can’t do it on their down. They need you to join the team! We’re aiming to raise $1,750 for the costs of the animals’ food, habitat, medicine and emergency medical needs in the upcoming school year. With individual needs starting as low as $3 (for sand for the quails’ sandbathing), a gift of any size can really make a difference. Check out our giving levels and benefits below, and decide what level would be most meaningful to you! Make a gift to the Animal Care Fund and make a difference! Donations to the Animal Care Fund will support the animal collection as a whole, not a specific animal. 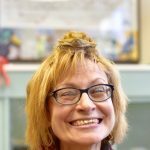 One donor at the Contingency Level will have the opportunity to have lunch with Dr Leah Knapp in the animal care office, and digital delivery of the animal care social media bundle. A gift of $500 can provide contingency funds for medical needs for all the animals, including medications, syringes, needles, vet visits and lab work. Jojo is the iconic member of the animals team at OC. 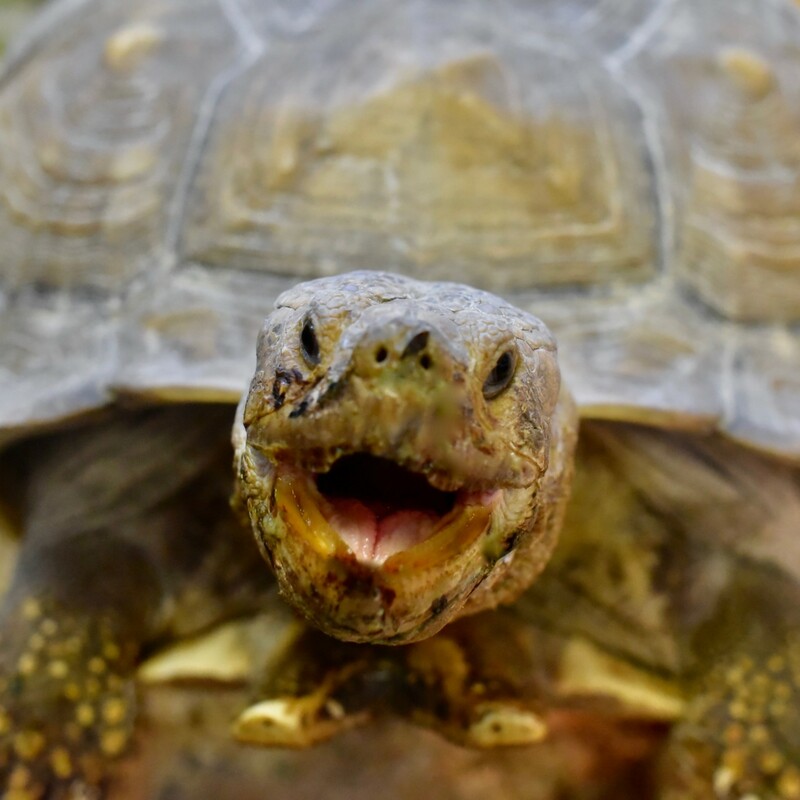 He’s a sulcate tortoise who now weights about 175 lbs, although when he was rescued in 2003 he was only about a third of his current size. Jojo’s estimated to be about 50 years old, but he’s still a sloppy eater. Two donors at the Jojo level will receive a “signed” photo of Jojo, and digital delivery of the social media bundle. A gift of $250 can provide a year’s worth of veggies for Jojo. The call ducks are our newest additions to the animal collection. The four siblings (three males and one female) were obtained at just a day old in October 2018. Three donors at the Call Ducks level will receive framed feathers, and digital delivery of the social media bundle. 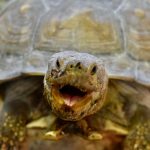 A gift of $100 can provide a year’s worth of basking light bulbs for the reptiles, food for all the ducks for a year, and frozen mice for Sneakers the ball python. The Madagascar hissing cockroaches arrived in 1994, brought by Provost Maria Davis when she started at OC. They’re excellent for introducing both adults and children to the importance of insects to the earth. 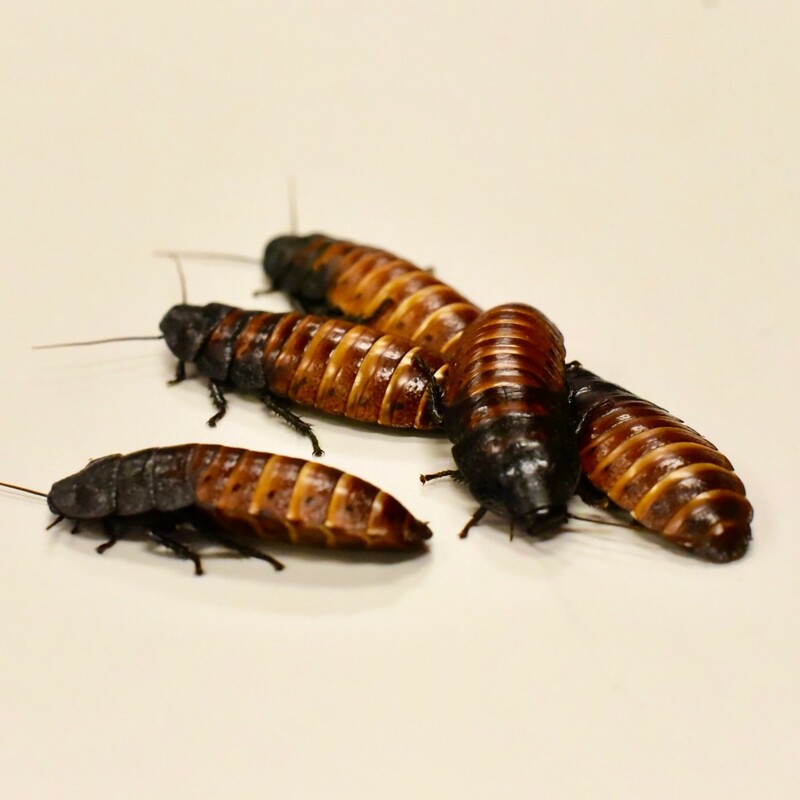 As rainforest animals, these cockroaches are losing their habitat in the wild. 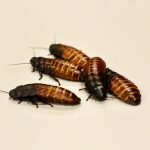 Six donors at the Cockroaches level will receive a cockroach adoption certificate, and digital delivery of the social media bundle. A gift of $50 can provide tetramin tropical crisps for the fish and harnesses for the ducks. OC is Teddy’s fourth and forever home. A uromastyx lizard, he was rescued in 2017 from dirty conditions, and now he’s vibrantly colored and double his original weight. All donors of $10 and above will receive digital delivery of the social media bundle. 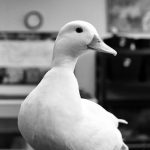 A gift of $10 can provide high calcium grit for the ducks, bedding for Sneakers the python, or cardboard egg crates for the cockroaches.